Windows 10 is a bit of a paradox. It represents the first version of Microsoft's operating system designed for the post-Windows era. The company's CEO, Satya Nadella, talks about portabiloty of experence and Windows 10, thanks to Universal apps, can run software across phones, tablets and desktop and mobile PCs.But Microsoft is making major in-roads in cloud computing with Azure and Office 365. The later is a truly cross-platform application, while the Azure infrastructure as a service aims to be competitive against AWS and Google. The desktop OS is not going away. Windows 10 is version 2 o Microsoft's attempt at bridging tablets and PC-based computing. Features like Continuum and universal apps, are steps in the right direction. The Cortana digital assistant looks like a bit of an experiment. Once she has access to your shecdule and email, Cortana can learn about what you are doing and check if anything will disrupt your schedule. So if there is a train delay, Cortana could look-up alternate transport and book a taxi.Microsoft is trying to take internet serach to the next level, by focusing on things important to teh user.It remains to be seen how this will evolve commercially, omce advertisters are able to push their services via Cortana. From asecurity perspective, the inclusion of MS Passport and Azure Directory Services promises to offer a single authentication sytem, which shoudl improve manageability. A large number of enterprises are still on Windows 7. Windows 10 is the logical upgrade - since it offers a much better dekstop experience compared to Windows 8. The fact that teh software will be continually updated is a bonus - but this will also chnage IT's relationship with end uisers. the idea of large-scale desktop deployments may be a thing of the past once IT trusts users to update desktop software themselves - just as they are expec ted to do on iPad and Android tablet devices. 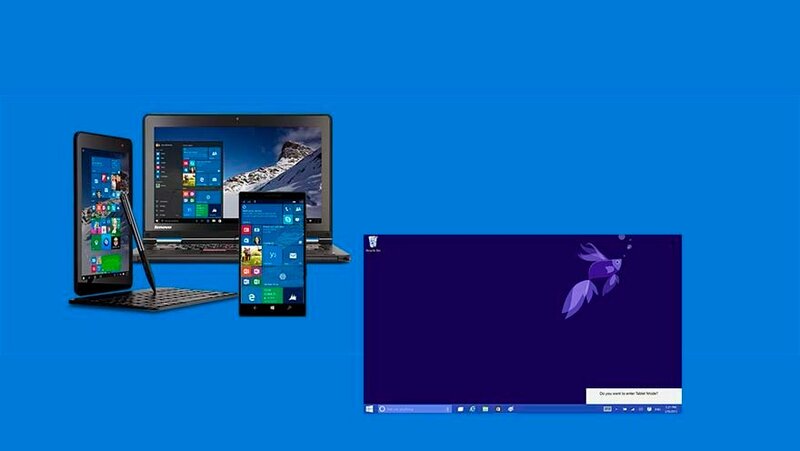 I think that unifying the OS across devices is something that will really help Windows 10 adoption. It’s one of the things that Apple has done well with their technology, and it has set the user’s expectations. Adding in the use of Azure and Office 365 to Windows 10 will allows Microsoft to offer a more seamless experience to the user, regardless of which device they are on.